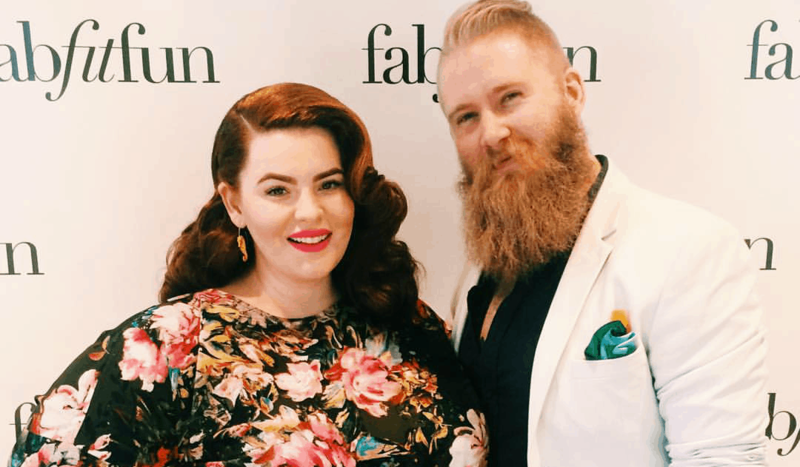 Today People Magazine was the first to reveal the exciting news that Plus Size Model Tess Holliday is pregnant with her second child. Huge congrats to her and Nick Holliday! Like most stories about people in the public eye, within a few minutes of the news breaking, media outlets everywhere were spreading the story (Do a Google search for Tess Holliday is pregnant and you’ll see what I’m talking about). This story is special though. Unlike most celebrity pregnancy announcements, the comment section of these articles quickly became flooded with negative and downright nasty comments because Tess is plus size and pregnant. These comments include many “concerned” trolls making assumptions about her health and the well-being of her child. ***News Flash*** Just because someone is plus size and pregnant does not automatically classify them as high risk! Women of all sizes have completely healthy pregnancies but you sure wouldn’t know that judging by the stigma attached to being plus size and pregnant. Tess addressed this very issue within her pregnancy announcement on Instagram. Her statement here matters because plus size women face unique challenges during pregnancy and these aren’t often talked about in the mainstream media. I know this to be true because I’ve been advocating for plus size women during pregnancy as a blogger and childbirth educator and for nearly 5 years. When these issues are brought up, it’s almost always in a negative context, thus reinforcing the misconception that every plus size pregnant woman will have an unhealthy pregnancy and shouldn’t embrace her pregnant body. As soon as I read what Tess had to say about the adversity plus size women face, I knew I had to reach out to her and we just so happen to be Facebook friends. Tess and I met in April of 2014 when we were both presenters at the first ever Body Love Conference. This conference took place after she had launched her #effyourbeautystandards campaign but before she graced the cover of People Magazine. Tess opened up about frustrations nearly every plus size woman who has ever been pregnant can relate to. I think it’s really important to talk about the realities of being plus size and pregnant. The options for nursing bras, maternity clothes, belly bands and books are so minuscule that it’s insulting. Thank goodness most of my clothes have worked as maternity pieces, but not everyone has access to clothing like me and 10 years ago I didn’t. I struggled at a size 18 to find anything 10 years ago & sadly not much has changed. I knew it was frustrating but had no idea until I found myself pregnant and searching for things that didn’t exist. The struggle is real! Major brands like Lane Bryant have discontinued their plus size maternity clothing lines leaving options very limited. Stores like Motherhood Maternity, that carry plus size options, don’t have much of a selection and their apparel is expensive. Nursing bras are also a necessity that many plus size women struggle to find in their size. While it’s difficult to find plus size belly bands (a helpful tool for belly support during pregnancy and postpartum, along with disguising a “B” shaped belly) in stores, there are a lot of great online resources. 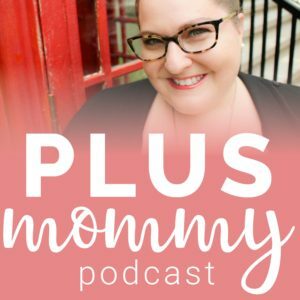 Along with addressing plus size maternity apparel, or lack thereof, Tess also stepped onto a soapbox of mine – the importance of working with a size friendly care provider. Thankfully my doctor is amazing and hasn’t shamed me once. We searched all over for a doctor who supported all bodies and he has been a life saver. Care provider bias against people of size is a real thing, and there have even been studies to prove how damaging this is. Tess has the time and resources to seek out a doctor who will provide her with evidence-based compassionate care. Not all women are as fortunate. And not all women realize they have the option to get a second opinion or to fire their care provider if they are not being treated with dignity. Being plus size and pregnant is challenging; from the societal stigma, not being able to find a wide variety of plus size maternity clothes and apparel, to concerns about being shamed by your care provider (or even by your loved ones). Pregnancy should be a time of complete joy and celebration because you’re growing life within you! It shouldn’t be a time when women fear being shamed because of their size. I’m so happy for Tess and her growing family and I’m elated that she wants to be open about being plus size and pregnant. I truly believe her voice will help to change the conversation around plus size pregnancy. Photos courtesy of Tess Holliday and (if you’re not already) be sure to follow her on Facebook and Instagram! Any one in the NYC area or surrounding know of a friendly ob/gyn. My doctor is making me deliver in NYC bc I am over weight at Columbia but I live in Westchester NY.